GCC is a general contractor concentrating in heavy highway and municipal projects. In 2007 GCC added a variety of commercial work to it's portfolio. Private sector clients include Waste Management, Standard Parking, and Norfolk Southern Railway. Projects are varied and complex. 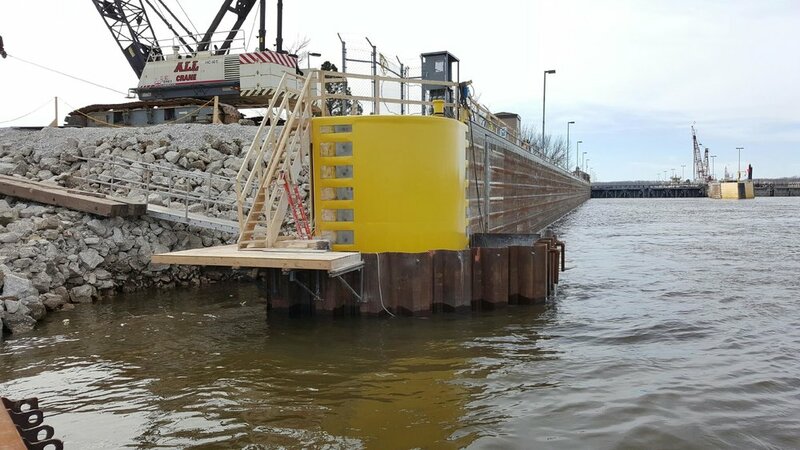 Having developed a variety of skills including shoreline stabilization, excavation, pile driving, foundations, all forms of concrete work and demolition, Gale Construction is uniquely suited to tackle any civil project. GCC has completed over twenty (20) pedestrian bridge installations. Current projects included Illinois Department of Transportation road rehabilitation of vehicular bridges. Gale Construction Company of Illinois is a Civil Prime Contractor. GCC has 20 years experience performing varied and complicated contracts for every level of government and private industry. Gale Construction Company is an SBA 8(a) Certified WOSB.